Those selling their mortgaged property in Cyprus to reduce or repay their mortgage debt will be exempt from paying capital gains, income tax, special defence contributions, as well as stamp duty and transfer fees. BORROWERS who sell their property to reduce or repay their loans on the free market will be eligible for tax relief, extending a regime that has so far applied only for sales to banks. Following Tuesday’s unanimous vote on DISY’s five proposed bills at the House of Representatives, those who sell their property to third parties on the free market will be exempt from paying capital gains, income tax, special defence contributions, as well as stamp duty and transfer fees, provided the sale is to reduce or repay loans as part of a loan restructuring deal. 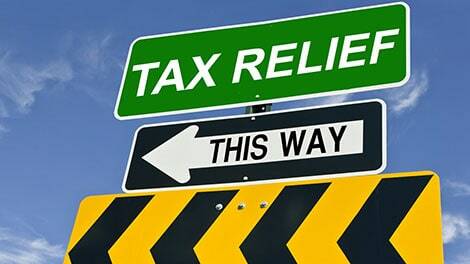 Borrowers will be able to enjoy tax relief until the end of 2019. The relief concerns in particular the sale of mortgaged property by the borrower on the free market with a view to reducing or repaying non-performing loan in the context of loan restructuring. Covered by the new legislation are loans made up to 31 December 2015. The exemption from the payment of taxes and fees can be applied both to the sale of a property to a private buyer and to the sale to a company. The law will also cover loans that will be transferred to the new non-performing loan management body. That is, borrowers whose loans will join the entity will be able to sell their Cyprus property on the open market for the purpose of reducing or repaying the loan. DISY chairman, Averoff Neophytou said these laws will make it easier for borrowers to pay off their debts. He remarked that it was a mistake that the previous laws did not cover borrowers selling mortgaged property on the open market. This, he stated, was exploited by the banks who pressed borrowers to sell at lower prices through them, in order to take advantage of the relief. Another sellout by the Cyprus government, those of us who pay our dues on time get taxed, those who refuse, or can’t be bothered to pay get excused. This does not of course apply to cases of genuine hardship but I’ll bet there are many who play the system knowing that they are unlikely to have their debit enforced. Stamp duty and transfer fees are payable by the purchaser of a property, not the vendor. Is the law exempting the purchaser from these taxes where a property is already covered by a mortgage that is in default? Or is it the property owner who is going to dodge income and capital gains tax along with unpaid stamp duty and PTT on his original purchase? In any case, on the face of it, this seems like an amazing reward for loan defaulters and tax dodgers alike.